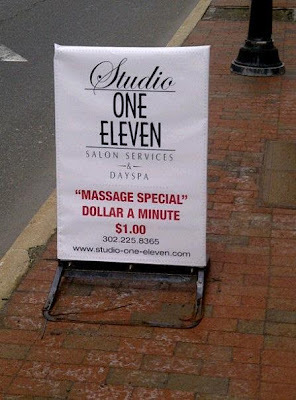 The “Blog” of “Unnecessary” Quotation Marks: "Massage Special"
Submitter Patrick informs me that this sign was only posted for one day before it was replaced with a less well-designed but quotation-mark-free version. So obviously someone told them about the power of euphemism. 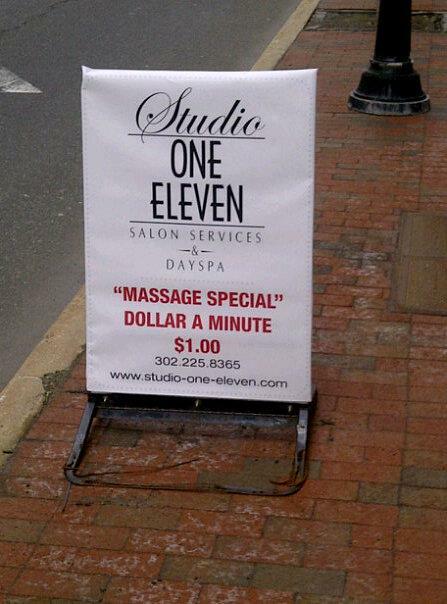 Dollar a minute 1 dollar? What does that even mean? It sounds like instructions you get for electronic equipment that was obviously translated very badly.